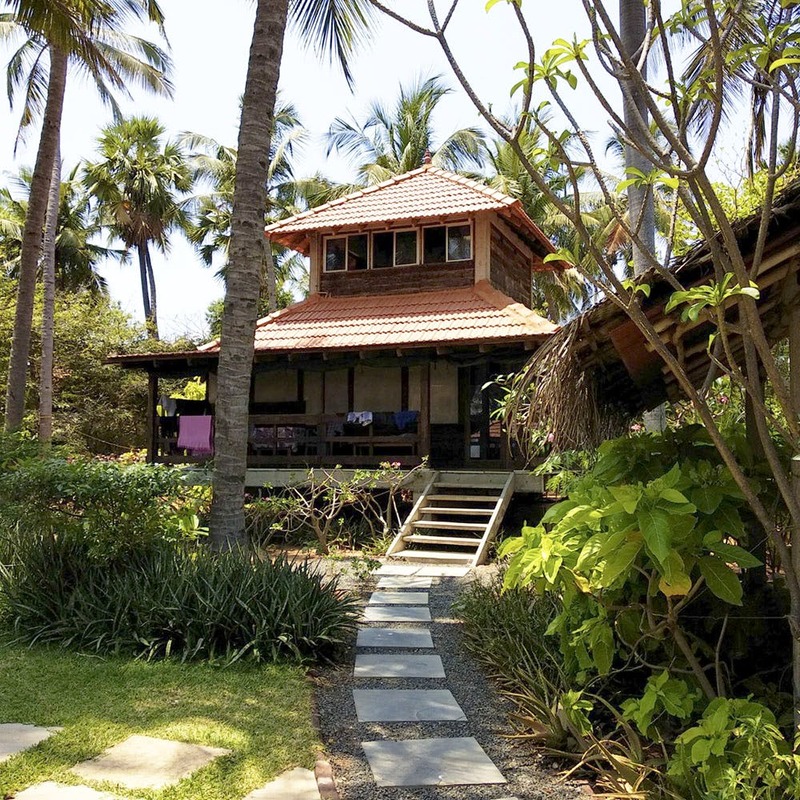 Live The Beach Life At This Cottage in Auroville That Is Facing The Sea And Has A Private Pool! Enjoy the beach life with yummy seafood, a private pool, and cozy cottages - perfect for that weekend getaway. A weekend, by the beach, under the trees, with the sound of the waves, and some amazing seafood on the plate - magical it sounds doesn't it? Now you can experience all of this at Pondicherry. Oh, ya, we are awesome like that! Well, head to Samarpan Guest House, a quaint property in Auroville with six cottages. Each room is different from the other but they are classy, guest-friendly, spacious, that comes with an attached kitchen, a dressing room, and a bathroom of course. Choose whichever cottage but the sound of the waves and the sight from the room is inevitable. The garden, coconut trees, and the pool will make you want to live there forever. Oh, how we wish! Owned by an Italian couple - this guest house is perfect if you are giving bae a surprise or just want to whisk your partner for the weekend. The tariff includes breakfast (think bread, cut fruits, pancakes, dosa, and tea/coffee). They also have a full-fledged restaurant so you can order lunch and dinner as well. (that's the idea- we don't want to step out of the guest house). Here comes the best part - they have a tiny but amazing pool (almost like a private pool ) that you can jump into. The water is a tad salty but c'mon so is the ocean. make sure you don't forget to click pictures of yourself in the pool with the sea in the background. The beach is literally 100 meters away which makes this place even more awesome than it already is. If you want a relaxed evening- just make yourself comfortable in their hammock, read a book, or sip on a beer and enjoy the breeze. The water that comes in the rooms are a tad salty so brushing your teeth is going to be a task. Also, if you are going by car - make sure to get the place right on the maps. The roads that lead you to the guest house are very narrow so beware! Make sure you carry a swimsuit or they won't entertain the guests.